Back once again with another blog post. I decided since moving to this new platform that I would definitely have some new readers and subscribers. Due to that, there’s going to be a lot of you who have little to no idea who I am. 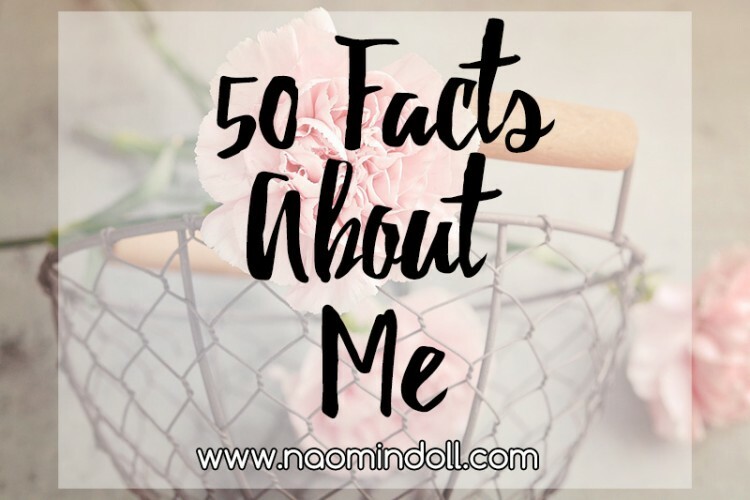 So why not share 50 facts about myself to introduce myself to my readers and fellow bloggers. So if you want to find out more about me then continue reading after the jump! You guys might be thinking that it’s a typo, but it’s not. On all my legal documents, my name is actually spelt that way. 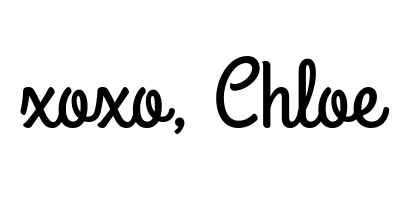 However since it’s easier and spelt the same, I go by Chloe online. Usually because everyone who knows me in a casual setting that isn’t school just spells my name that way anyways. My birthday is February 16th. So not only am I a February born, but an Aquarius as well. I speak English but I also know Japanese (I’m on the lower intermediate side of it). I have extremely low tolerance for spicy food. I love watching shows and documentaries about crimes and ghosts. But I don’t like horror movies. I practically live on YouTube. I’m extremely scornful of most creepy-crawlies, insects and rodents, except spiders. My absolute favourite dish is: white rice mixed with ketchup and butter. Everyone thinks it’s really weird but it’s absolutely delicious to me. My major in university was Computer Science. Despite living on an island all my life, I cannot swim, I cannot even float in water. I don’t like chocolate, but I love chocolate cake. I’ve always wanted to dye my hair, especially pink. I have seborrheic dermatitis, which is similar to adult cradle cap. Both my laptop and phone (S5 mini) are from Samsung. My camera is a Nikon D3200. I’m a big time geek. I game, cosplay, read manga and watch anime. I’m not ashamed. My favourite book series is “A Series of Unfortunate Events” by Lemony Snicket. I have all the books and to me it’s timeless. I want more piercings and tattoos but I have low pain tolerance. In terms of skills, I can make wigs, I’m a pretty good photographer, and crochet-er. I’m not a phone person at all, I don’t like talking on the phone to people who aren’t in my immediate family. I’d love to be able to travel around the world in the future. I’m a makeup junkie. I just love collecting makeup because you can never have too many. I don’t like tea or coffee, but I do love hot chocolate. I’ve blogged from since 2012 and I’ve used the internet since I was 7 years old. I’m obsessed with everything cute. From Hello Kitty to alpacas. I love glitzy and glamorous things. Hence why I love weddings and pageants. In my part-time, I teach English to non-English speakers. I would love to start doing YouTube one day. I’m a big fan of AliExpress and eBay. You can find just about anything there. When I’m anxious or feeling overwhelmed, I play Solitaire. I find it difficult to fall asleep without having the TV or my laptop playing in the background. I listen to most genres of music, but for the life of me, I can’t get with country music. I prefer the city and suburbs to the country side. I love reading about mythology and magical creatures. My favourites are mermaids, nymphs, fairies, sirens and unicorns. I’d like to own a business one day. My favourite holiday is Christmas. Reality TV is my guilty pleasure. The most recent that I’ve watched is The Rich Kids of Beverly Hills. I love making lists, so don’t be surprised if you find a lot of list posts on my blog. Once it deals with the computer, I can teach myself most programs with ease. Bath & Body Works is one of my favourite brands. I’m a lover of chokers and harnesses. Some days I over-eat and some other days I under-eat. I’m a very curious person, sometimes a bit too curious. I have one brother who is younger than me, but bigger than me. My favourite kind of nuts are cashews. This is my fifth year cosplaying. And there you have it everyone, 50 facts about me. I hope that this gives you a better idea of what kind of girl I am. If you’d like to take up the challenge of doing this, then by all means go right ahead. If you’d like, you could comment below with a link to the post when you’ve made it. I’ll be more than happy to read your blog and check it out!